NASA's New Horizons spacecraft is hundreds of millions of miles and almost 10 months beyond its July 2015 exploration of Pluto – but here on Earth, the honors for that historic achievement continue. The mission team was recently awarded the prestigious National Air and Space Museum Trophy for Current Achievement, an annual honor that recognizes the significant accomplishments of a scientific or technological project. New Horizons was saluted for accomplishing the first direct investigation of Kuiper Belt objects at the outer margins of the planetary system and producing astonishing new images and scientific data – while cost-effectively executing a mission that has changed the nation's approach to solar system exploration. 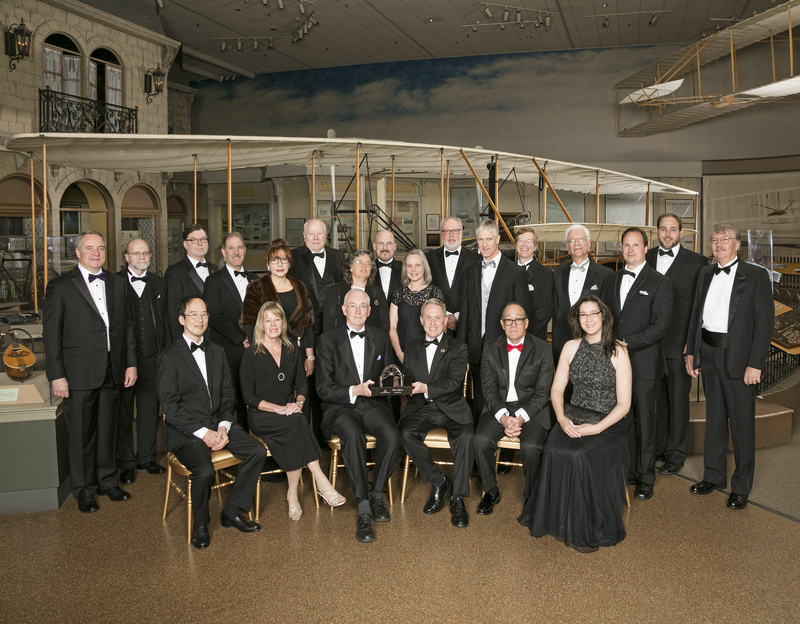 Watch the Smithsonian's video tribute to the New Horizons team. "In completing the first reconnaissance of the solar system, the flyby of Pluto was not the end of something, but instead, I believe, a new beginning," said New Horizons Principal Investigator Alan Stern, of the Southwest Research Institute (SwRI), when accepting the trophy for the team during a ceremony at the museum on April 5. "We showed how much the public craves bold exploration, and we showed just how much exploration can teach us about nature when we visit new places with capabilities never before brought to bear." The following week, during the opening ceremony of the 32nd Space Symposium in Colorado Springs, Colorado, on April 11, the Space Foundation presented the team with the 2016 John L. "Jack" Swigert Jr. Award for Space Exploration. The foundation gives the annual award for the most significant accomplishments in advancing the exploration of space during the previous year. The team was also honored later in April with an Edison Award for Science. Named for famed inventor Thomas Edison, the international awards honor excellence in areas such as new product and service development, marketing, human-centered design and innovation. Read more about the Edison Award winners here. The New Horizons spacecraft flew past Pluto and its five moons on July 14, 2015, providing the first close-up look at this system on the planetary frontier. The Johns Hopkins University Applied Physics Laboratory in Laurel, Maryland, designed, built, and operates the New Horizons spacecraft, and manages the mission for NASA's Science Mission Directorate. In addition to being the home of the mission principal investigator, SwRI, based in San Antonio, leads the science team, payload operations and science planning. 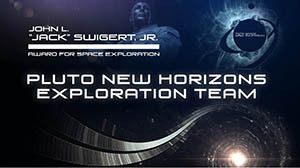 New Horizons is the first mission in NASA's New Frontiers Program, managed by NASA's Marshall Space Flight Center in Huntsville, Alabama.